The project revolves around presenting users with informative material in the form of videos and/or images about Virtual Reality (VR) applications, industry or Companies. The material is to be presented in an experience that resembles a museum or a gallery. In my case, I resorted to providing information about VR applications and technologies that improves VR experience in 4 videos presented in a gallery. 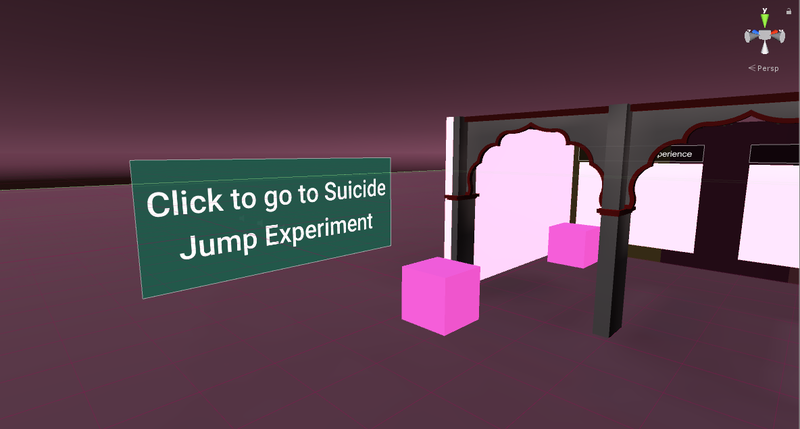 I reserved the last slot for creating my own application in VR to provide a special experience. It is simple, yet the execution is difficult and that’s why I believe there is still room to improve that experience. 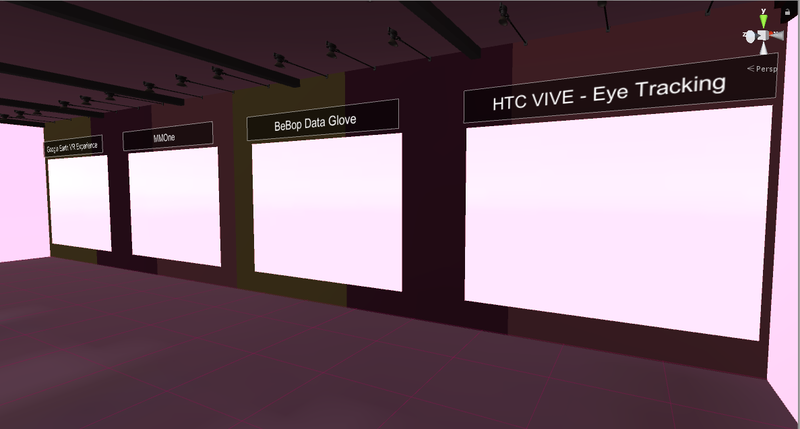 So, in my implementation I used a free model for an Exhibition booth with five partitions. 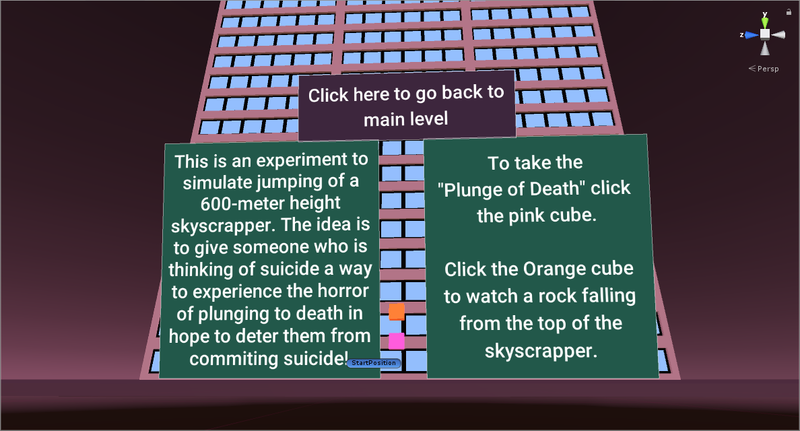 However, I decided to remove one section, since I decided to create a little experiment about jumping of a 600-meter skyscraper. 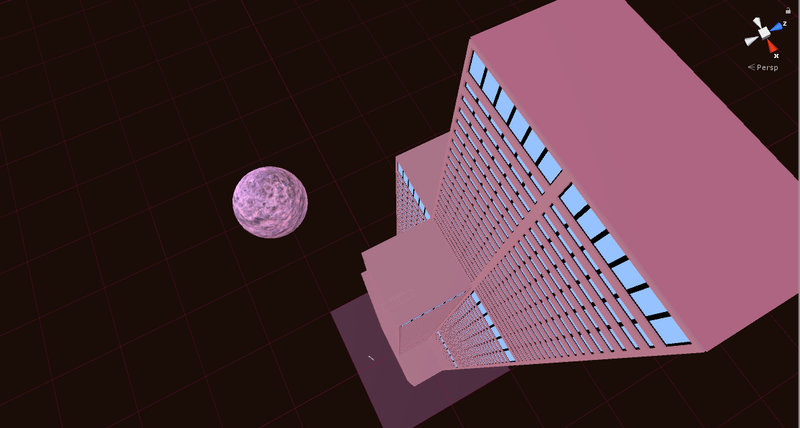 I used simple cubes to work as transportation points so that the player can move around the scenes. In the experiment, I used gravity to simulate real experience of falling acceleration. However, I was disappointed for 2 reasons: 1) Falling speed didn’t seem scary at all. 2) I didn’t find a free sound that conveys the strength of the impact. Therefore, I decided to increase the gravitational force applied by the physics engine in Unity which resulted in faster falling speed. And I also, added another functionality to show the player, a falling rock, which somehow can convey some realism in the experiment. The first obvious step in this project was finding the material that will be presented to the user. So, there was a lot of research to identify suitable content. I resorted to Videos without images since they provide more information and more entertaining than textual or imagery information. Then I started pondering how to present the videos. There are many ways of creating a 5-station museum/gallery. We can even be creative and present the stations as planets, but due to time constraints and the fact that I’m not a 3d modeler I decided to go with a simple gallery setting. So, the first thing was drawing, using online sketching tools, a prototype of the gallery. 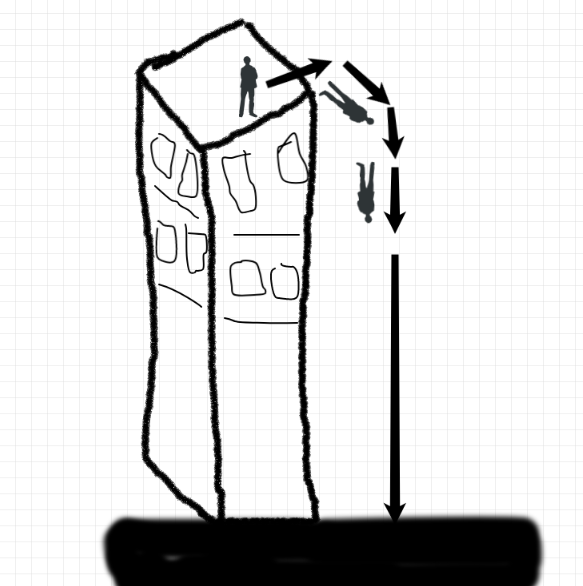 Put simply, the idea is to try and simulate jumping from a skyscraper. More details were added later as indicated in the final outcome section as a result of testing with users. Q1. Can you read the text in the signs? What do they tell you? A1. Yes, I see a panel that tells me how to move in the game. Another tells me to click to go to a suicide experiment. The text is clear for me. Q2. How do you feel being in this place? A2. It feels a bit strange because it has a purple color and dark but relaxing. Q3. 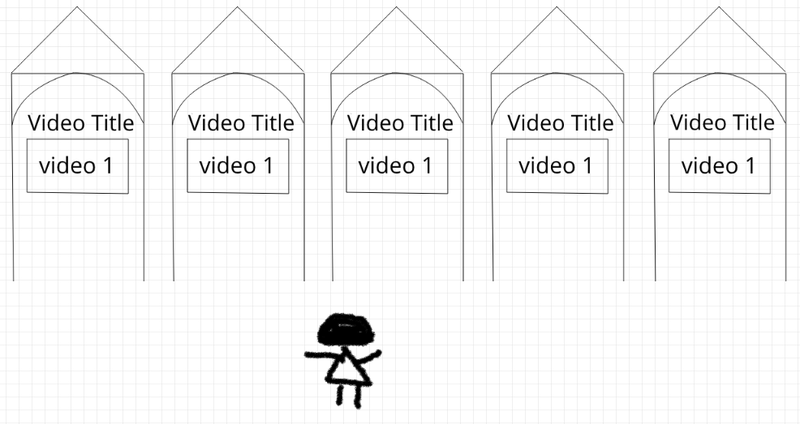 What do you think the videos are about? A3. They are about technologies that can be used in VR games. I like the chair that rotates as if you were inside a car or space ship. Q4. How do you like the current movement speed from one location to the other? A4. It is too slow. It would be better if the speed can be increased. Q5. How big is the building in front of you? A5. Wow. It’s really big. It’s not easy to see the top. Q6. How do you feel when you look down while at the top of the building? Do you feel any disorientation? A6. 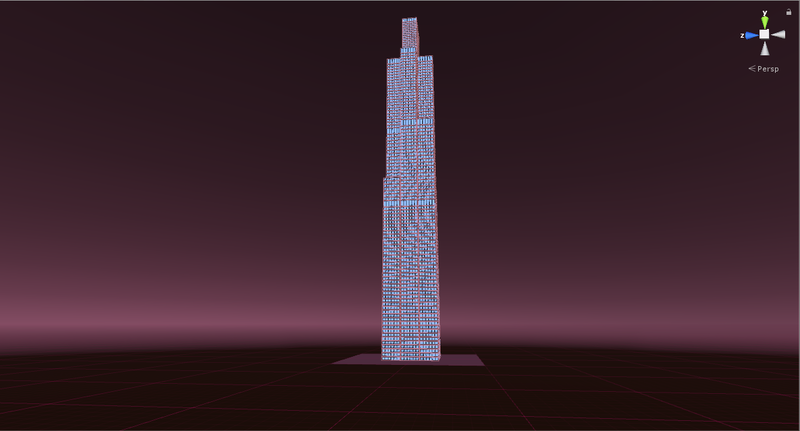 A little bit scared especially that you told me that this is a simulation of jumping from the top. I don’t feel any disorientation. Q7. After we’ve simulated the jump, how do you evaluate the experience? A7. Hmmm. I like the idea, but it didn’t feel scary at all. This project made me feel good and bad at the same time. The good part is that it showed me the unlimited ways we can utilize VR to simulate many life experiences. The technologies are evolving beyond imagination. However, simulating experiences proved to be a hard task. It requires investing a lot of time and testing but more importantly it requires experience in both technical experience and skill in the tools we are using and experience in what we want to simulate. However, I’m happy I worked in this project because I learned a lot in scripting, testing and how to utilize videos to convey messages to users.